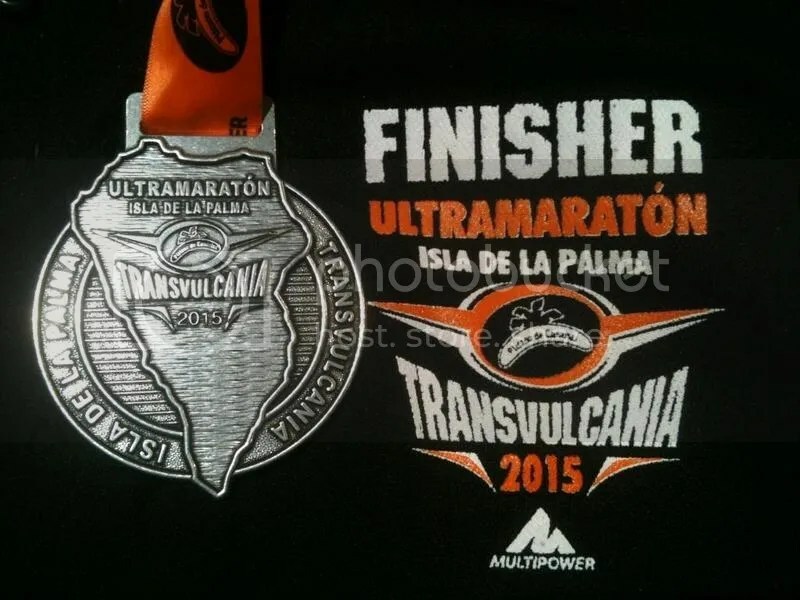 Transvulcania 2015 – A relentless sun, inscrutable like life – Ash's Adventures! After a long day travelling to the remote island of La Palma, Phil who was supporting his friend Rodney picked me up at the airport. I met Phil at one of the Highland fling training weekends and we’ve been in touch through Facebook. They’ve been on the island for almost a week and knew the place quite well and Rodney dropped out last year so he was determined to finish this time. The place is stunningly beautiful and less touristy/trashy than the other Canary Islands as it’s harder to get to but there’s a reason it’s called the Isla Bonita (Beautiful island). 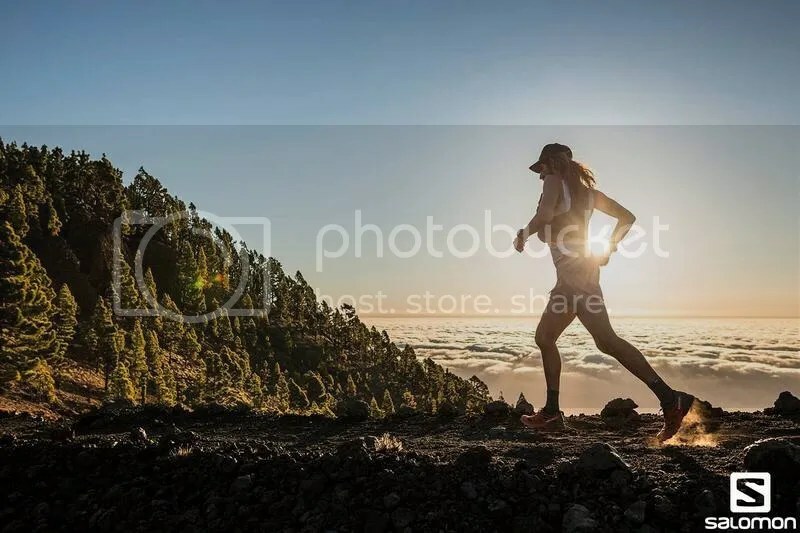 It has some of the most varied and technical trails in the world and gives you a real sense of skyrunning as you are literally running above the clouds for most of the race. It is also the most mountainous island in the world. 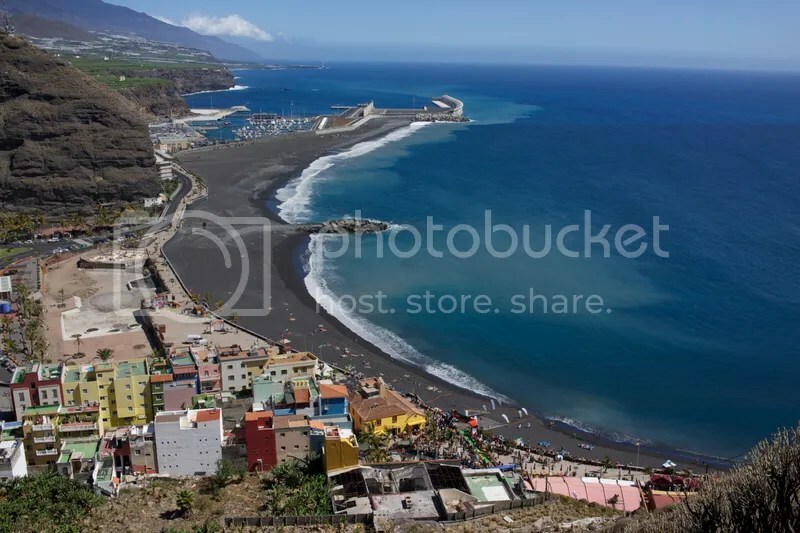 Although technically its part of Spain, its just off the coast of Morocco in Africa and often around the time of the race we get the hot winds along with the Saharan smog to the island which certainly spices things up, this natural phenomenon is called ‘Calima’. 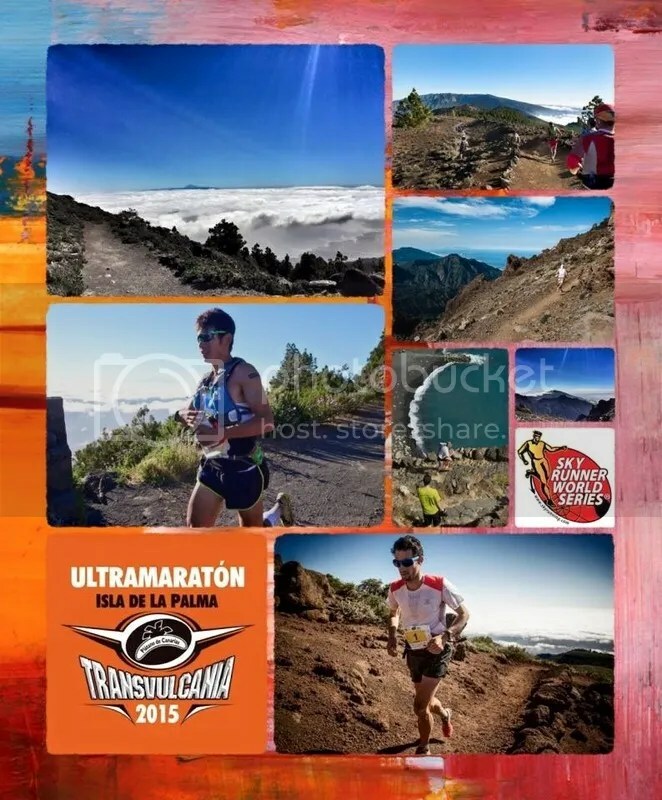 Transvulcania has quickly become an iconic and prestigious Ultra distance Skyrace which is part of the Skyrunner World Series and despite being ‘only’ 73.3 km with 4500m of ascent, the race offers a unique challenge in a stunning island with runners often experiencing issues with heat, dehydration, fainting, heat stroke and the technical nature of the course making things harder. It also hosts two other races the Media (24km) half marathon and the Marathon (42km) along the Ultramarathon race route. Pre-race shenanigans at bib collection! 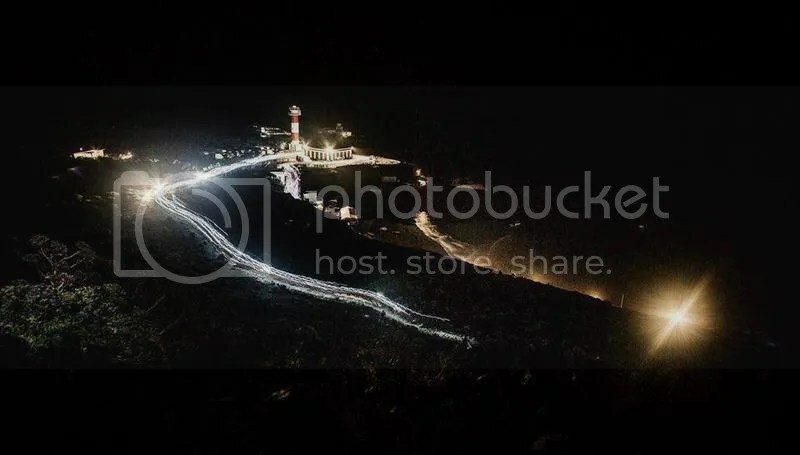 Got a good nights kip at the hotel & met up with the guys in the morning, we went down to the start at Faro de Fuencalliente to have a look at it when it’s bright since we start in the night and don’t get to see how beautiful the terrain is. Hiked the first two kilometres and took pics and bumped into Jordi Saragosa who was taking some shots of the salomon team who were also running down, we chatted about Kilian Jornet’s & Nuria’s trip to Nepal and his own experiences of suffering from altitude sickness during last year’s Hardrock 100, despite his issues he still drove around the course to support Kilian during his record-breaking run. After that we headed off to Los llanos for bib collection, met Chris and Nicky Mills here and it was great to bump into familiar faces. 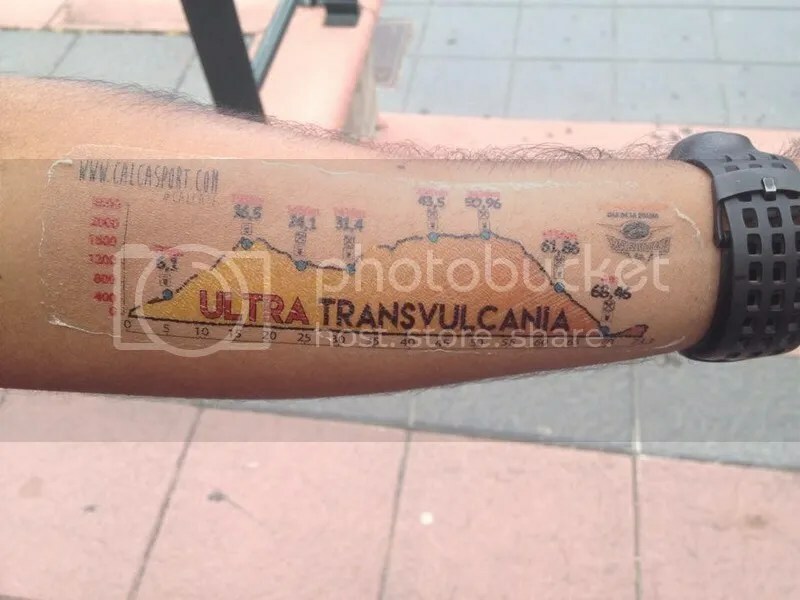 Didn’t waste much time and got the bib & an elevation tattoo which I personally think is a great idea for mountain races. Got back to the hotel after having lunch near the finish line when both the lads got sun burnt sitting outside (I got burnt during the race) I really enjoyed how relaxed life was on the island. Bumped into Jamil Coury who was staying close to my hotel and had a chat with him about Hardrock 100 & Barkley, he’s the only runner to go out on loop 4 this year. He’s such a humble human being and it was lovely to have met him. I remember Phil saying “if that guy was anymore chilled out, he’d fall into a coma!”. After sending them off I went to the nearby hotel to meet up with Ian Campbell who was doing the live coverage for iRunFar and we had a good chat about the race and the challenges it’ll pose, the thing I love about races is that it feels more like a family gathering when you meet up with friends or make new ones! 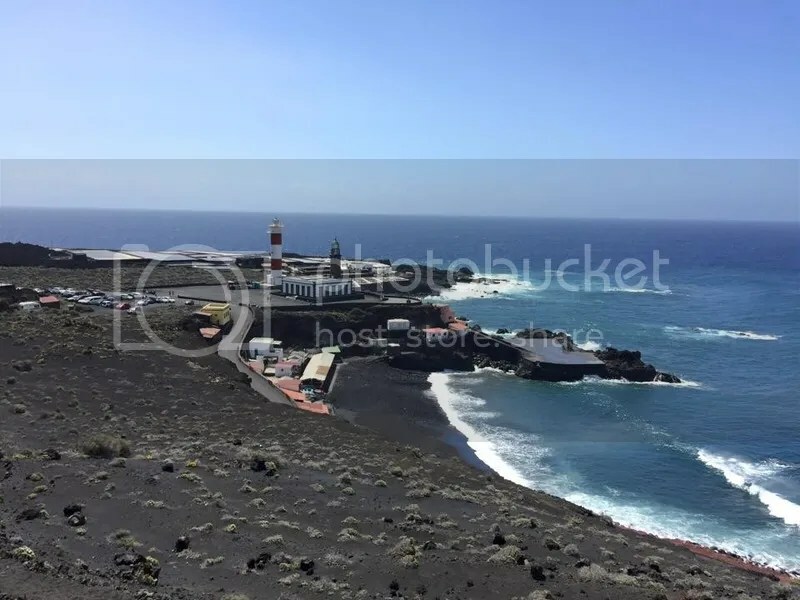 The lighthouse at Faro de Fuencalliente during daytime, the volcanic ash made it look very pretty! After trying to sleep early and procrastinating, I did manage to get a couple of hours of shut eye before waking up at it’s-way-too-early-o’clock (2 am) to eat breakfast and slather myself in Vaseline before getting the bus at 3 am. 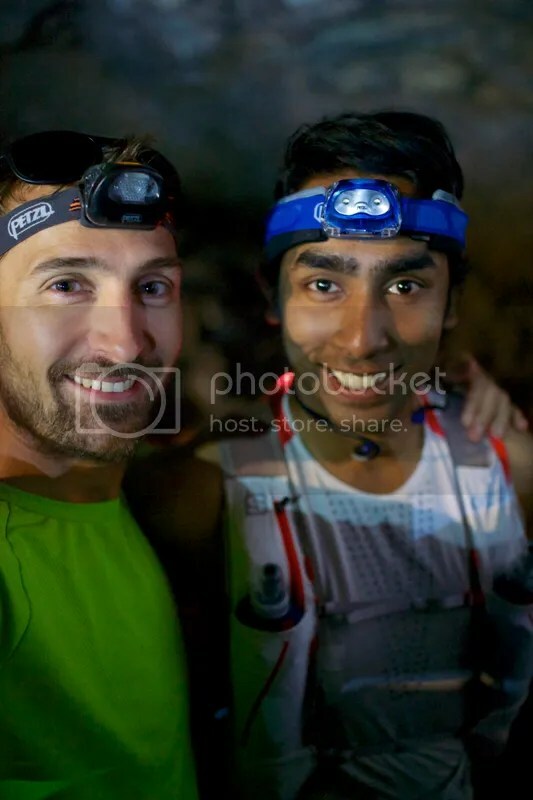 Met Kris again who was hanging out with Phil and Rodney yesterday, we were chatting to an American runner who was way too excited about this race at 3 am in the morning. After trying & failing to get some sleep on the bus, we were dropped off at the start at 4.30 am. It was quite cold and windy, people were sitting down huddled against each other near the light house, greeted Chris Mills and then bumped into Scott Harris. He’s been training on the island for the race and had a last minute injury scare, after a quick chat I met Donald and his tartan pants! Saw Jamil sitting there in colourful shorts too and told him that you both have a common taste when it comes to shorts selection (Rich coming from someone who wore yellow tights in his last race!). We were sitting waiting around for the race to start. The start felt like a disco party with dance music and projection lights that projected onto the cliffs (similar to TGC but there was more life & passion here). I felt like a kid watching all the elites warm up next to us, from the steely gaze of Luis Alberto who looked like he was ready for war to the friendly charm of Emelie Forsberg. They won the race in the end. The American guys seemed the most relaxed as they’re used to running low key events and the hype didn’t get to them. I lined up close to the front, as I didn’t want to end up being squashed as the trail quickly narrows down to a single track. 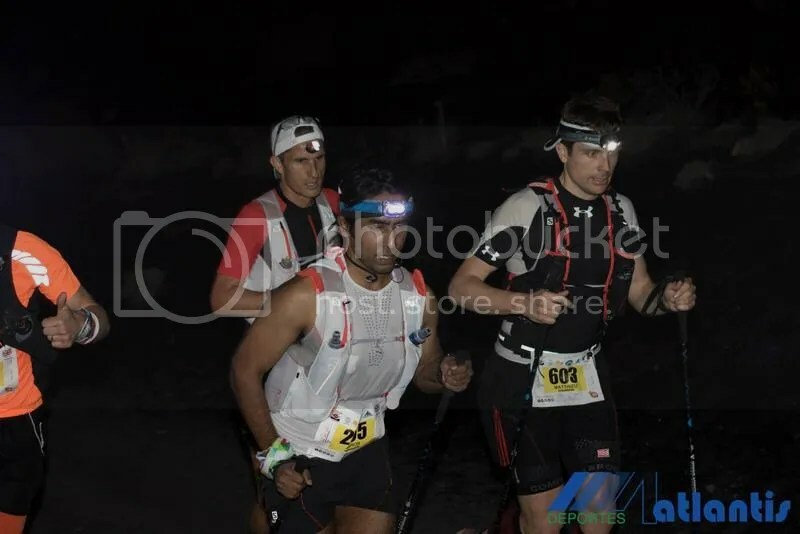 The atmosphere at the start was incredible and it was magical to see all the headlamps, knowing that the first ten miles are uphill (and the first 50k too!) I took it easy and settled down into a steady power hiking rhythm after the crazy start where everyone sprinted the first 500 metres before the trail narrowed. I was surprised how hot and humid it felt even within the first 20 minutes, tried to keep up the water intake and knew it’ll only get worse once the sun rises. The underfoot conditions were testing as the volcanic dust required A LOT of effort, it was like two steps forward and you sink one step backward. I ensured not to get out of the trail as the rocks are really sharp and a slip could mean that I’ll need a few stitches! The conga line kept going until we reached the first checkpoint at Los Canarios, which had only liquids. I refilled my bottles and soaked in the atmosphere. It felt like a block party with the entire village out on the streets to cheer the runners on, some people were still in their pyjamas and they generated A LOT of noise! 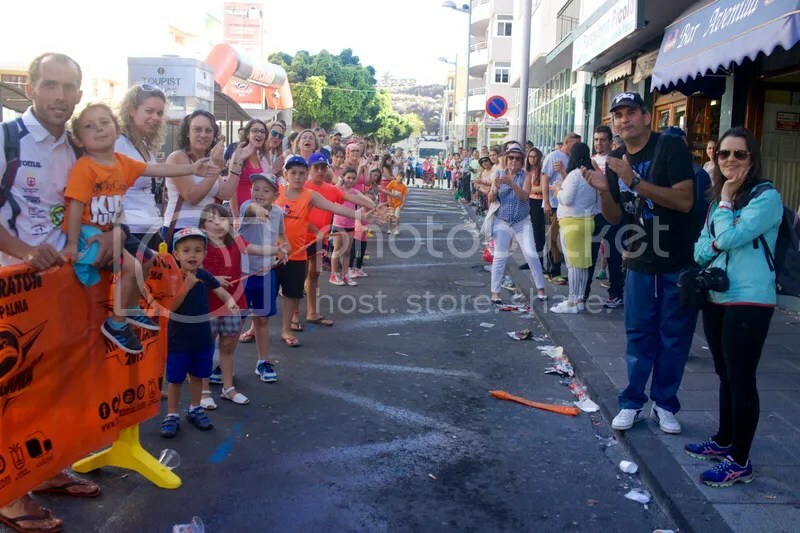 It funnelled at certain sections like the Tour de France where you really feel the support with everyone going “Animo Animo, vamos champeone” or “Venga venga”. 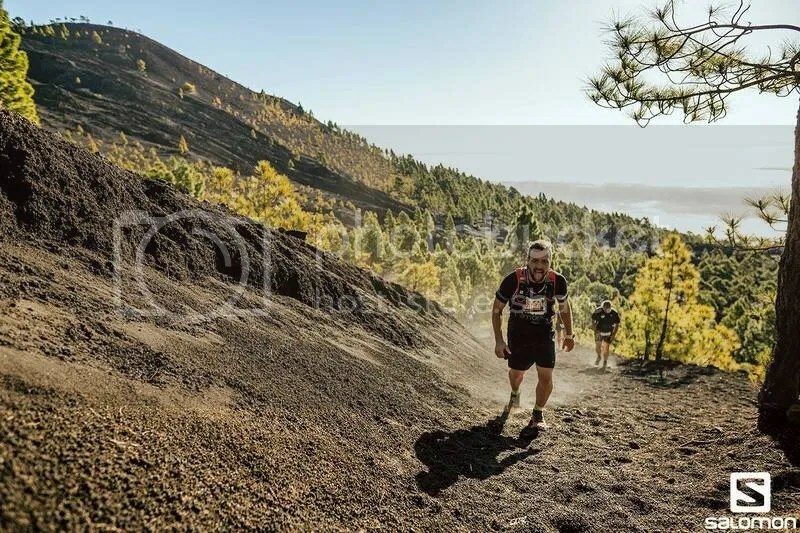 You could feel their passion for mountain running and they are very proud to host one of the toughest mountain races in the world, you’d never get such an atmosphere like this anywhere outside Europe. 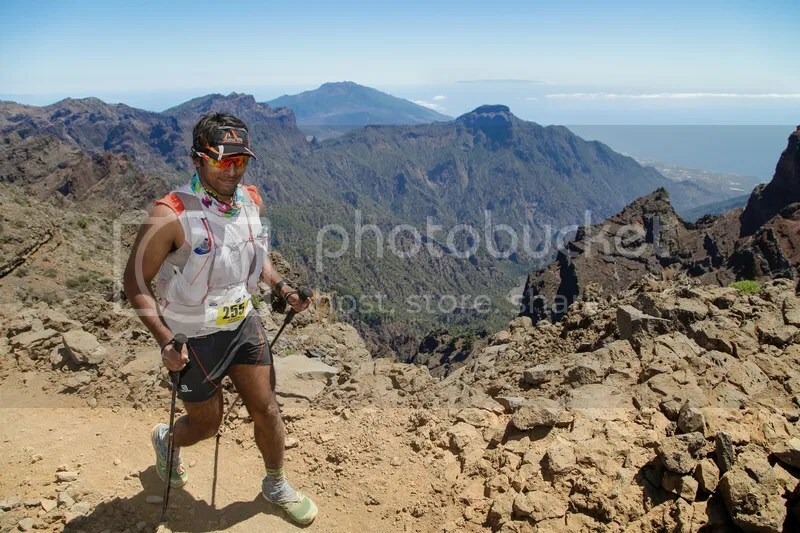 The only races I can think of that would have as good an atmosphere and ambience are probably some of the races in the Alps and Grand Raid de la réunion (Another island which is extremely passionate about mountain running). Think Zegama marathon in Basque country also has an incredible crowd support although it’s a much shorter race but alot more steeper and technical. After crossing the village we kept plugging along uphill on volcanic ash. 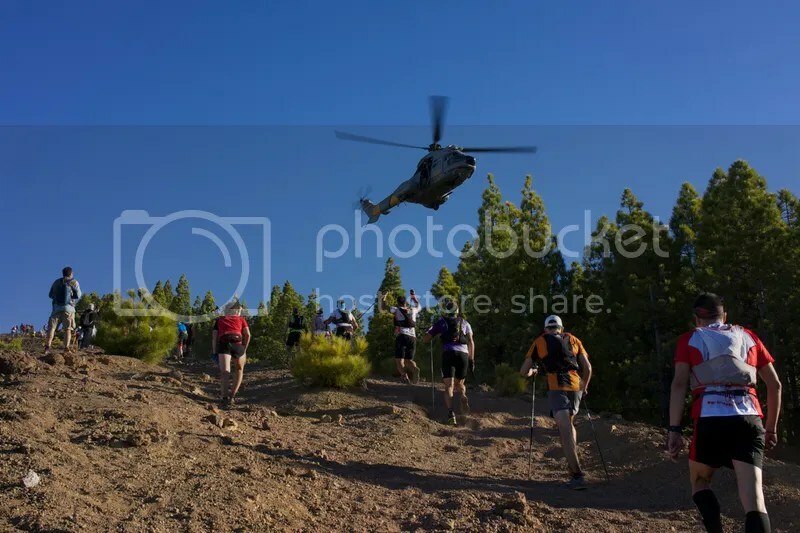 As we approached the summit of the volcano of Las Deseadas, there were people shouting behind “El paso por media marathon” which I think meant let the half marathon runners pass. 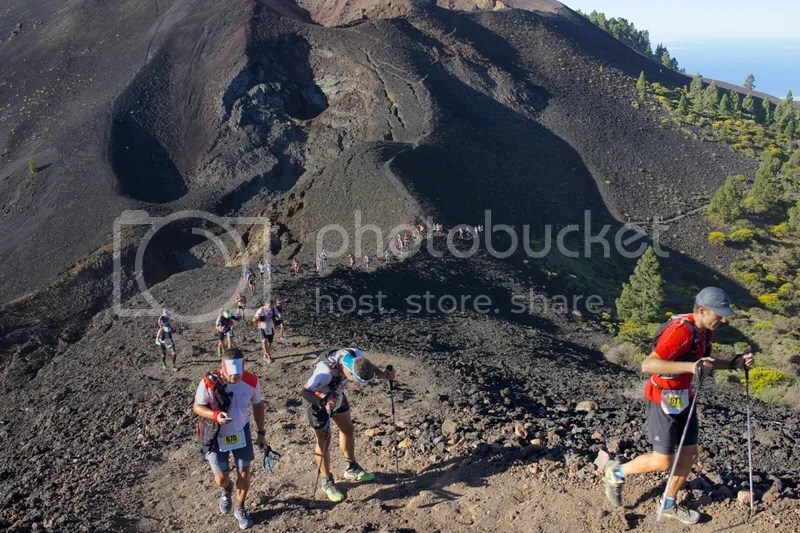 The top three passed us and they were literally sprinting up an 8000ft volcano from sea level! After picking my jaw off the floor, I shouted support at the most famous beard in ultra running, Rob Krar. Oddly enough he won the Canyons 100k a week before on western states trail and was sprinting up a volcano a week later. He acknowledged and they quickly vanished, he went on to finish 2nd. About 100m from the summit we saw a helicopter come out of the horizon and they were filming us. I could almost touch the chopper! That’s when you really feel like you’re doing a big Euro race. We reached the 2nd checkpoint (16km) here and refilled bottles and kept moving. After the summit it was a fairly long descent into El Pilar, which is also the half marathon (24km) finish line and this section has the most runnable single track in the entire course. There was a massive turnout there and I soaked in the wild screams and blaring party music. After quickly refilling my bottles and eating some fruit, I left quickly and knew the next section had less climbing. But the heat was rising and it was a fairly undulating uphill, so ran some bits and power hiked the steeper sections. I kept eating and drinking and was feeling alright, saved myself for the bigger climbs ahead. 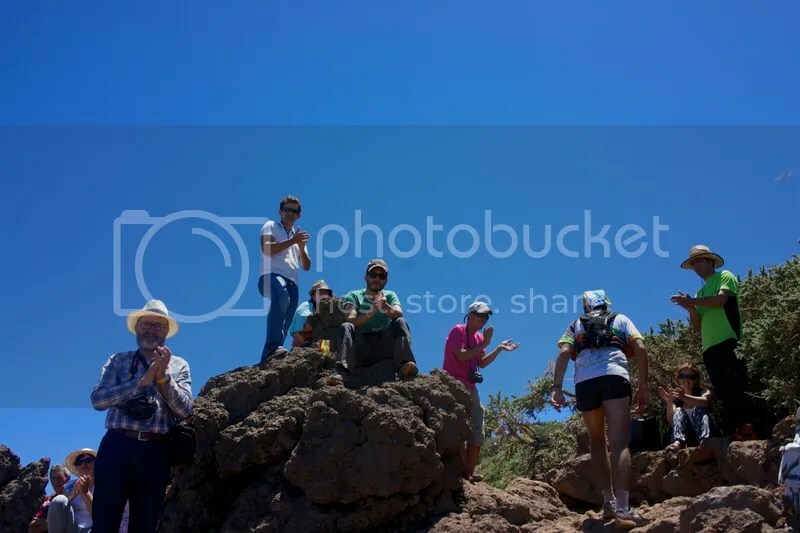 Once we reached El Reventon (30k checkpoint), I had the volunteers pour a jug of ice water over my head to cool myself (I basically did the ice bucket challenge at every check-point after this and LOVED IT!). After drinking up and eating a little I left for the next CP which was supposed to be 12.5km away and with almost everything being uphill it’ll take ages so I tried to conserve water consumption. Think this was a flaw by the organisation to scrap the checkpoint they had in between these two CP’s to make the race harder. By now the heat was really getting to everyone and we took rest breaks when we found a shady tree to keep core temps under control. I was starting to feel dehydrated but kept pushing and about half way people were queuing up at Punta de los roque (about 36-37k) which was a emergency medical hut but since people were begging for water they filled half a bottle to keep us going which was a God send as I had run out of water by then and didn’t fancy drinking electrolytes. As we got higher, there was no shade to take cover so we had to keep moving. I was starting to feel abit dizzy with heat exhaustion and was getting frustrated that we had crossed 12.5k a long time ago and the CP was nowhere to be seen, it came eventually after 17k (4.5k more than the original plan and almost all of it was uphill!) at Pico de la cruz. I saw some people getting a heat stroke and lying motion less on the side of the trail but the emergency services did a good job. There was someone from the mountain rescue team out on the trail almost every 2k even at the high points. I knew this was turning into pure survival as I had lost appetite to eat or drink due to the stinging heat which only got worse at a higher elevation. Eventually I took a 30 minute break at the checkpoint to sort myself out, think around 250+ dropped at this checkpoint due to heat stroke/fainting or dehydration as it was further than the mentioned distance (17k instead of 12.5k). 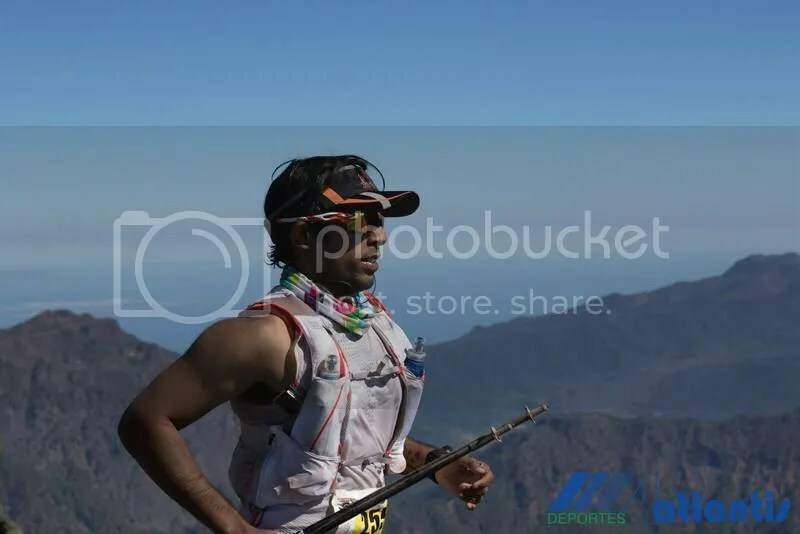 I knew I had to keep moving as we were at one of the highest points in the course and the altitude and the heat were making me dizzy. 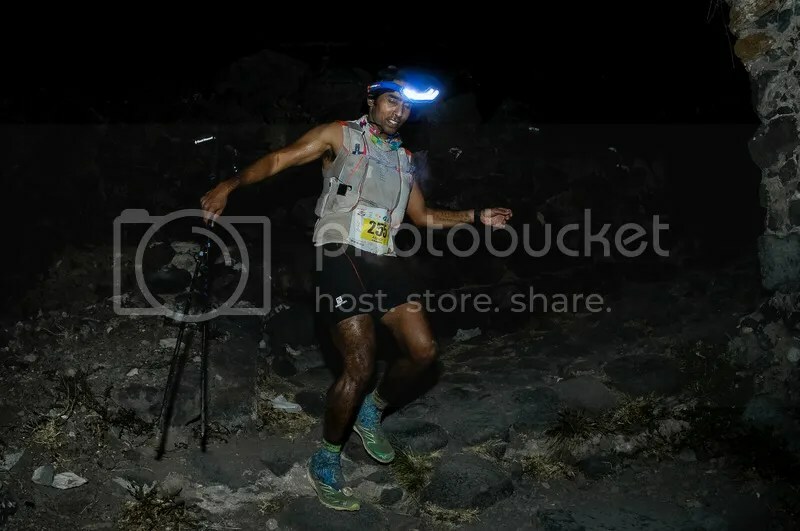 I kept things simple as I knew once I reached the next checkpoint at Roque de los muchachos (51k) it was all downhill (but it’s one technical downhill!). Kept putting one foot in front of the other and tried to keep it together especially with eating and drinking. There were supporters out on the trail giving out Powerade and cola before the zig-zag climb to Roque which is the highest point on the island. We could see the observatories here and the place looked really cool with the clouds below us. Since it’s above the clouds it offers scientists a clear view of the sky during night time. Still looking the part near Roque! After almost an eternity I got to Roque de los muchachos (2400m+) and tried to use the toilet as I felt my stomach wasn’t processing anything, had a plate of pasta after that and felt nauseous but knew I needed some food in the belly for the next stretch. 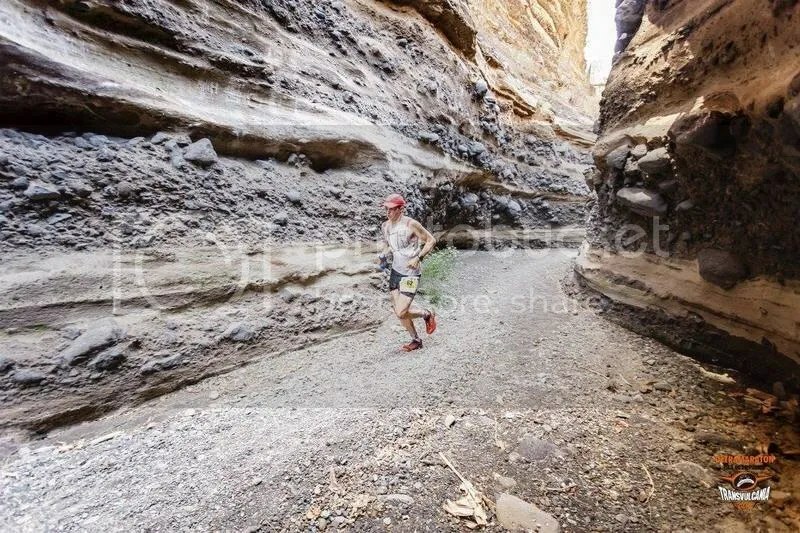 Was chatting to a couple of Brits who were pulling out there and tried to talk them out of it but they were having none of it, I don’t understand how some people say “It’s just so hot and so bloody hard!”, well you chose to run a race in a volcanic island in Africa during summer, what else did you expect?? The girl seemed fine, she just mentally couldn’t deal with how hard the marathon was and I did feel sorry for her in the end, it always breaks my heart to see people drop from a race. 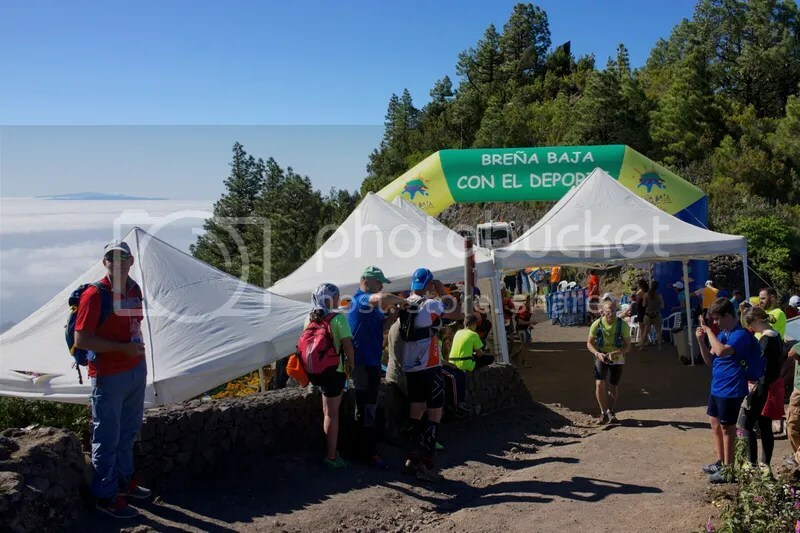 (The Transvulcania marathon starts from El Pilar (24k) to Tazarcorte (68k) and is probably one of the hardest mountain marathons in the world). Just past the checkpoint caught trying to find something in my rucksack! 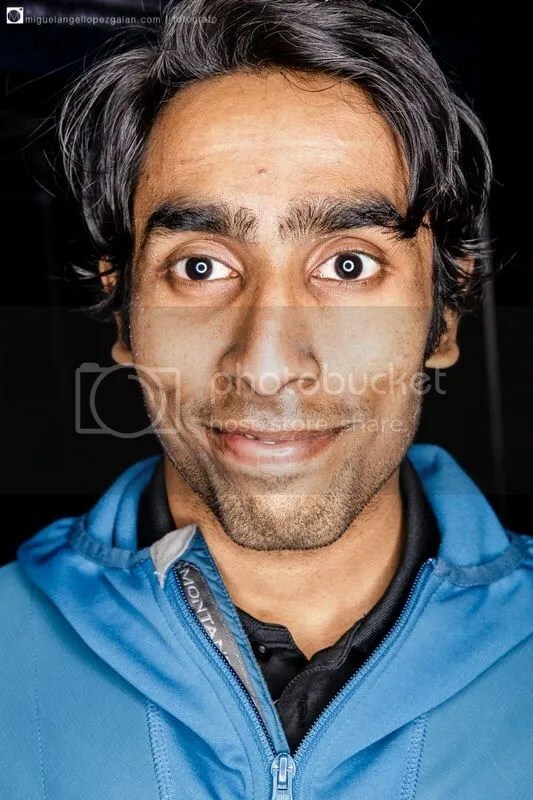 After getting everything down I got up and immediately threw up at the bin with my stomach starting to cramp, well atleast I learnt how to projectile vomit now! After emptying the system, I started to get full body cramps due to the water loss and they took me to the medical tent. They tried to put a drip on me with saline but I refused as I felt I needed to descend and the altitude might be causing these issues so drank 3-4 cups of electrolyte and kept it down in front of them and got out of the CP. 10 minutes later I threw up again and the trail got very technical, with cramping and zero energy I couldn’t run on those technical trails so I had to tip toe downhill and walk certain sections. I realized then this was going to be a long and sucky day! The wheels well and truly came off en route to El Time (61k), I stumbled and fell thrice but didn’t break anything. I stood up and kept going until the 4th time I slipped on some supremely technical and gnarly trail. My lower body started to seize due to cramping and the humidity at lower altitude (still at 1300m) lead to more sweating and salt loss, I rolled to the side of the trail and curled up in a ball. I remember at that moment everything seemed so peaceful and still and I passed out for a couple of minutes, got woken up by a bunch of runners who passed me and they put a cream on my legs to stop the cramping and force fed a tablet (salt I think?). They told me to sit for a few minutes before trying to walk down to the checkpoint, which was a couple of kilometres away. I forgot about racing and just enjoyed the view on the side of the trail, everything hurt and I wasn’t sure if I’d be able to finish with my quads and calf starting to seize. I still had a 2 hour cushion over the cut-offs which I was eating into and chatted to the people passing me to assure them I’m still alive and kicking! I remember laughing at myself for paying good money to go through this and eventually got on my feet and jogged into the checkpoint and went straight to the medical tent, got some cream applied on my quads and calf’s and took a nap for 15 minutes before getting some food and spent about 50 minutes fannying about at that checkpoint debating whether to drop or not but mentally I was still positive and kept telling myself “finish it so you don’t have to come back again you eejit!” I remember the marshals were abit worried at my state and sent a volunteer to run with me, as I was abit delirious and to ensure I didn’t fall off a cliff during the descent. But I started drinking electrolytes and then passed a few people, I presume that guy turned back at some point as I didn’t see him after a few kilometres or ran with some of the guys I passed who looked in worse shape than me. Still it was a good gesture by the organisers to take care of their runners. I remember moving fairly well as we descended a couple of thousand feet and I could see tazacorte from there. The last kilometre is the zig-zag vertical kilometre route and it looked spectacular. 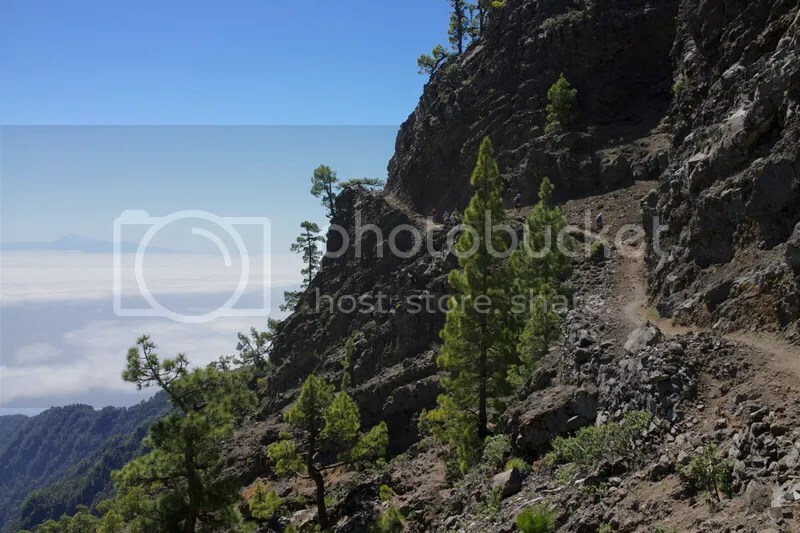 I enjoyed the views while carefully descending down it and into tazacorte for a huge cheer. This was the marathon finish point and I had about an hour and half to get to the finish with 5k to go (mostly uphill 400m climb). I drank 2 cups of coke and had one piece of watermelon and ran with a couple of Spanish guys into the dry riverbed which was aptly named the Ravine of Sorrows (I later found out an Italian runner was airlifted after passing out in this section due to the stifling heat and humidity, so finishing was by no means guaranteed even if you got so far!). 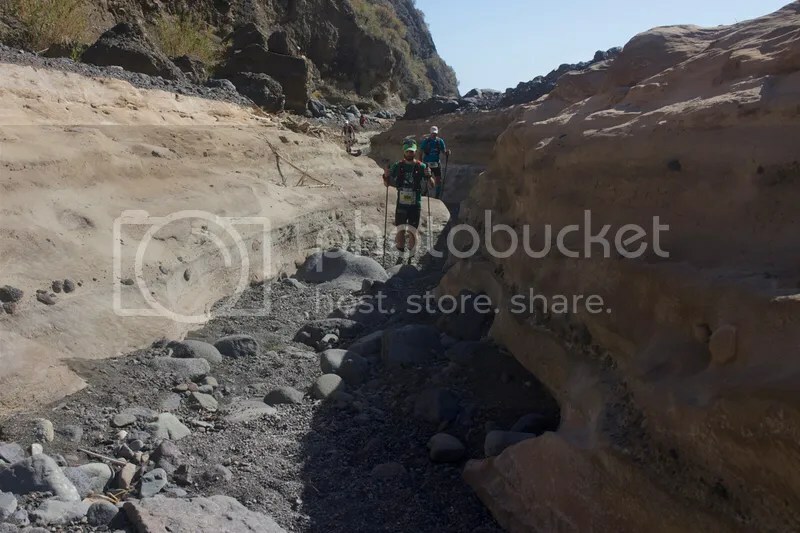 As we were in sea level, we could really feel the heat and humidity, we were furiously power hiking on the loose riverbed. It looked amazing and we were making decent progress and kept passing people, I started to cramp up again when we started the long ascent with switchbacks. Kept taking breaks and let those guys go ahead and ran with another Spanish runner who looked like he was hurting (I think probably by now everyone looked like death!). We buddied up and eventually crawled up it to the top of the torturous climb with zero breeze. Running inside the canyon at sea level with zero breeze! 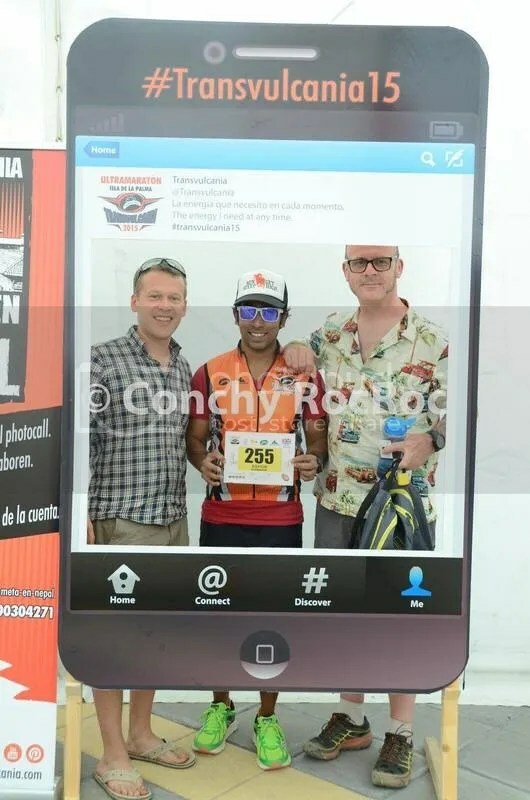 I remember that guy saying we were almost there and we got onto the Los Llanos stretch, it was a long road which goes into the city centre where the finish line is. We had plenty of time so just kept moving and chatting. He seemed emotional and he said he’s run this race 3 times and this will be the first time he’s finishing it. He told me he was having the perfect race and I got abit emotional and hugged him. (That moment really puts things into perspective for me and I didn’t mention any of my struggles to him) I knew how much this finish meant to him and he’s a real hero for coming back to try it again and again! We were high fiving the kids who were cheering us on along with the locals who sat at the cafes and bars. Once we got close to the finish, his daughter and wife came to hug him and he told me to go ahead and he wanted to run with his daughter. I went on to the finishing straight and got a heroes welcome with the entire town still out at the finish line as they had a concert going on until the cut-off time, it really felt like a massive party. 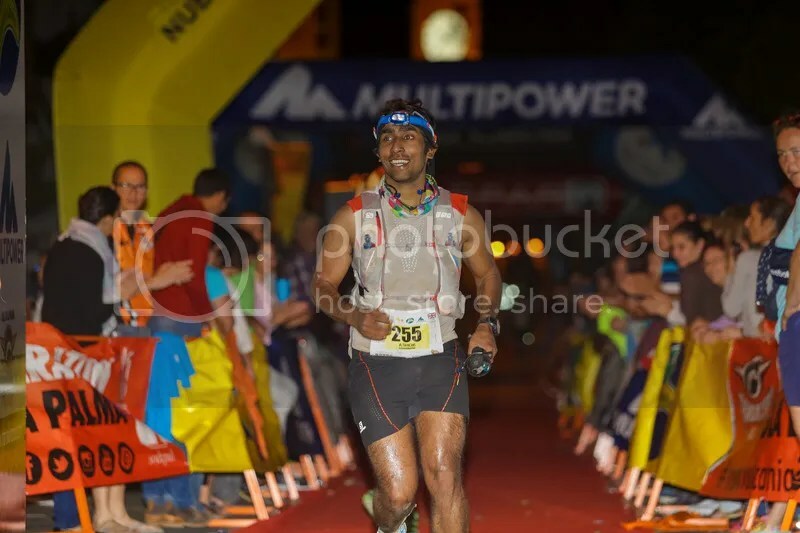 I was really glad to finally see the finish line after a long day, it was good to see Depa screaming at the finish (I remember him from UTMB when he was doing the Spanish updates for iRunFar) and got the medal from the Race Director. I finished in 16:39 hrs and went into the finisher’s section to throw up promptly into the bin. After the euphoria of finishing settled, I was still cramping and the humidity only made things worse. They told me not to eat anything and just keep drinking water. Tried to get a massage only to hilariously cramp up while getting on the table but the guy was really nice and we had a chat about this amazing island. The best thing about this race is the support and how knowledgeable the people are, they know so much about Skyrunning/mountain running and appreciate just how hard this race is. After changing into dry clothes I got the bus back to the hotel and threw up on the bus and at the hotel too but had a good night’s sleep before a long day of travelling to get back. Running into to the finish looking like a drowned rat from my own sweat! Finally after a long day of running and visiting medical tents I got around 😀 I think I caught that woman on the right staring at my biceps and she’s still staring! I had a rough day and my race didn’t go to plan but the beauty of the island and the energy of the people got me to the finish line as I felt this epic experience deserved a finish. It’s funny how only 2 weeks ago things went to plan during the Highland Fling but the wheels came off here, in hindsight I should have just ran a good time there when I felt good instead of holding back. 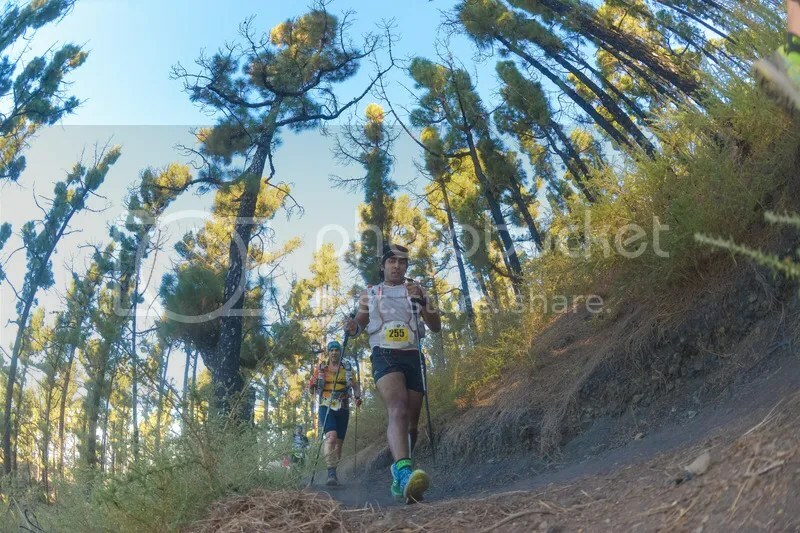 There’s an amazing community in La Palma and a real mountain spirit, it was a privilege to run in La Isla Bonita and I am very grateful to run on such a brutal course. 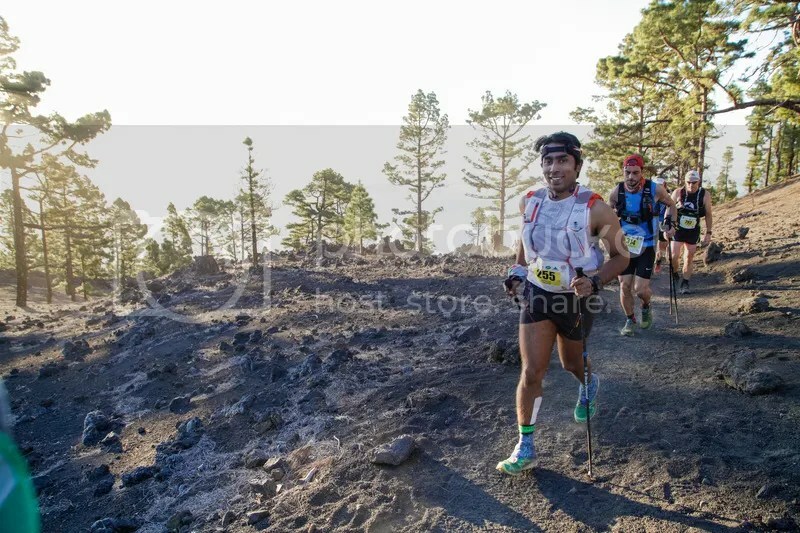 I can see why the current champion Luis Alberto said ‘There’s magic in Transvulcania’, you can genuinely feel it before,during and after the race. 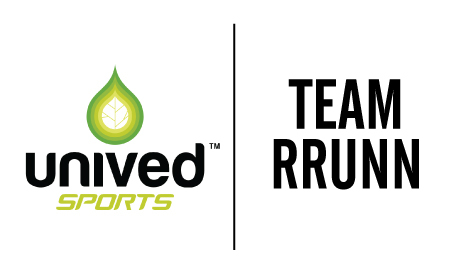 The volunteers and supporters went out of their way to make it an incredible experience. 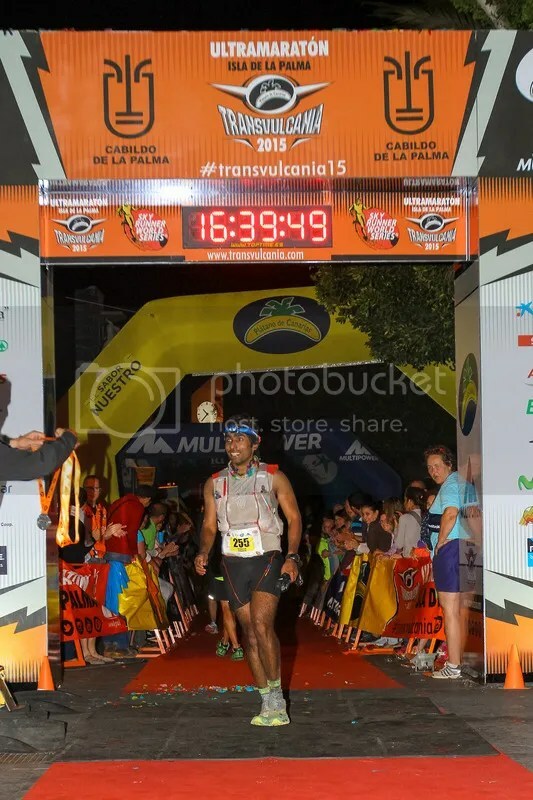 I think wanting to quit and suffering and finishing is what ultra running is all about. It’s about things going terribly wrong and figuring out how to get through it. I’ve done well in races and it doesn’t affect me as much when things go to plan but experiences like this humble you and you start to appreciate the little things in life, like an ice bucket challenge at every checkpoint! I wasn’t peeing blood nor did I have a bone sticking out so it made sense to get it done regardless of the time, although I didn’t have control of certain things like projectile vomiting and dizziness but I could still persevere & keep it together mentally and I am very proud of that fact, I’m still young and learning at this level so hope to build on this for future challenges as I can draw on this experience during racing and more importantly in real life too. 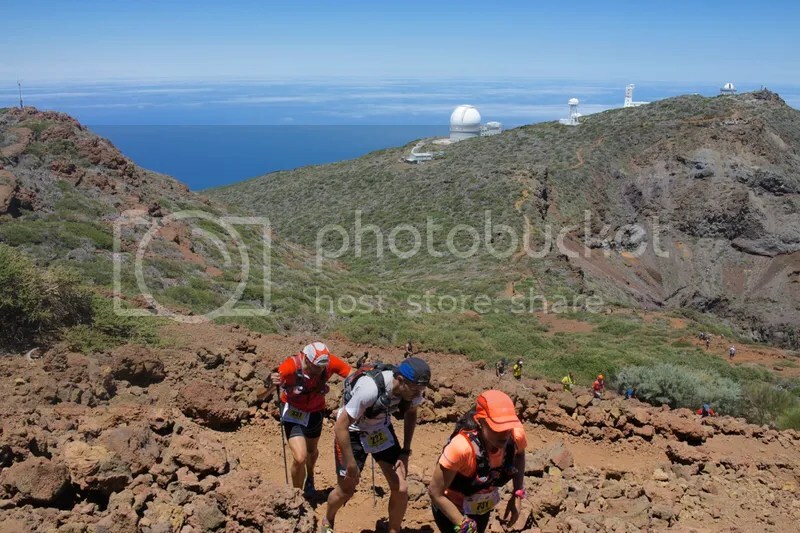 Overall despite my personal struggles I would highly recommend the race to any trail runner as the you’ll get to experience a very different type of volcanic trail here and once you’re on the island, food and accommodation is very reasonable. 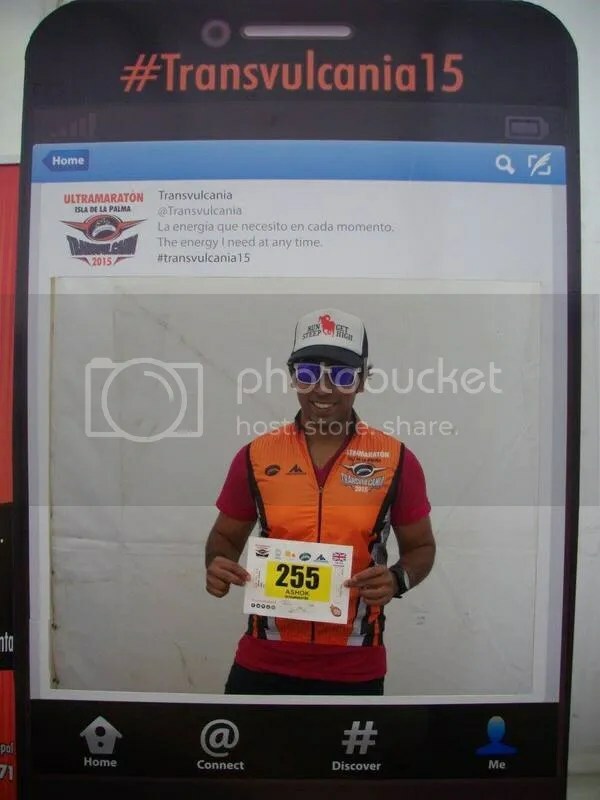 It would be a great help if you knew Spanish but you can get by with English + universal sign language & everyone at the race understands English to an extent. 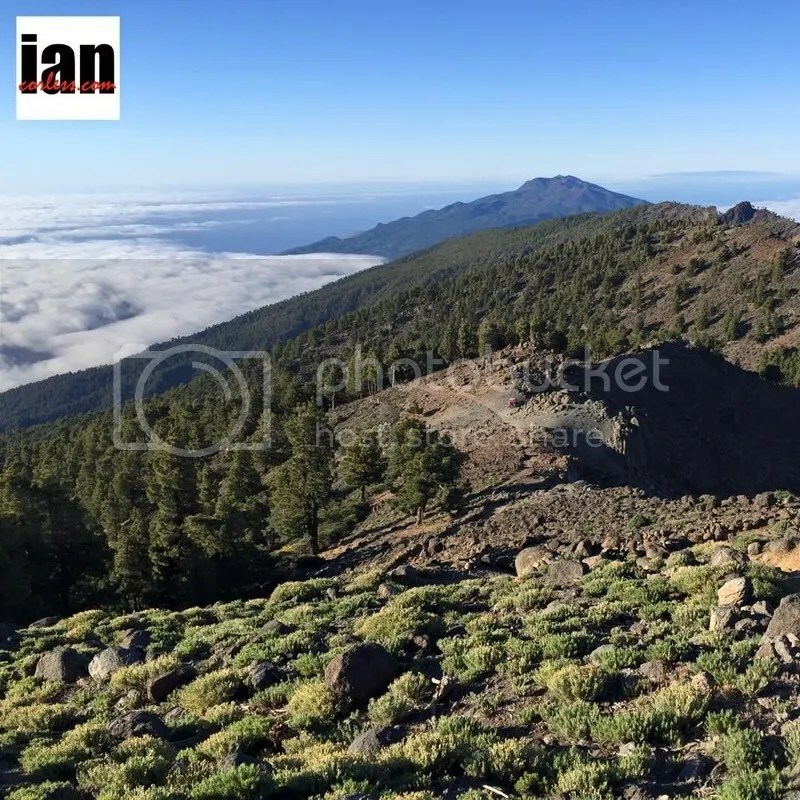 Although it looks quite complicated to get here there are direct flights from Manchester & Madrid or you can fly to Tenerife and get a relaxing boat ride to the island which some of my Scottish friends did and highly recommended the experience but do carry sun lotion with you! Almost all my friends apart from me combined this with a vacation to make the trip worthwhile and it’s a must-see destination for any adventurous traveller. It also helps you acclimatise to the heat if you go there early. The Bling was pretty cool for all the torture the course dished out! Finish line close-up shot of me caked in salt & volcanic ash and looking about 30 years older and trying to keep my mouth shut so I don’t throw up at the camera! OH My God ! what an experience…. and great narration… it almost felt like being there ( except for the throwing up)…. 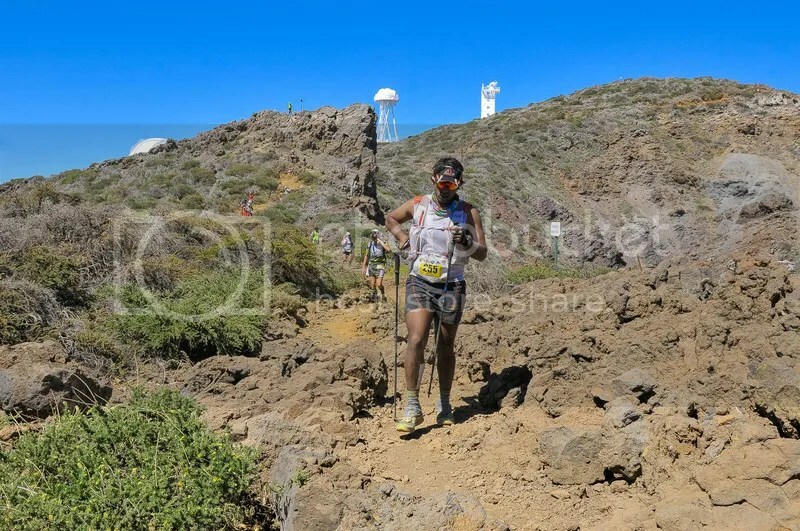 Haha I just couldn’t get used to the heat and altitude, will try to go early next year and explore the island abit more 🙂 The trail was gnarly especially the downhill, I lost two toe-nails this year!